The Porch offers a safe place to learn more about Our Lord and to give back to the community. Learn more about our dedicated, knowledgeable pastors today. 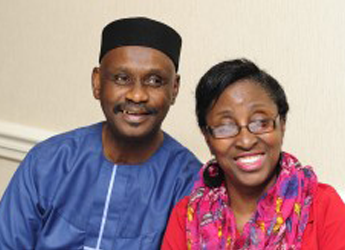 Prof Adeyinka is a man of many backgrounds — a dentist, public health practitioner, and fervent praying man. He is a man with great people's skills and a remarkable encourager. Pastor "A", Mrs. A, or Pastor Joyce (as she is fondly called by many) is the host pastor of Solomon's Porch Worship Center in Jessup Maryland. Pastor Joyce Adeyinda is a dynamic, friendly, and highly motivated professional with a proven track record in industry administration, marketing, education, and youth development. Pastor Joyce's life passion is to see the lives of children and young adults influenced positively through advocacy, leadership, education, and conflict resolution. She is committed to this lifelong mission. 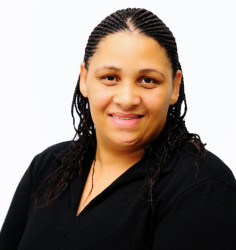 Pastor Joyce is a fervent praying woman, who believes strongly in the efficacy of prayer. She is married and blessed with a son and two daughters. Pastor Nike is a woman of great talents — a sound teacher of the Word, a leader of leaders, a mentor, and a coach. She is a stabilizing force and role model to the women at The Porch and has a call to the music ministry. Pastor Nike is a mother of four and a very "young" grandmother. Pastor Margaret aka "Ozzie" is an Awana missionary. She doubles in this position for the Redeemed Christian Church of God - Global and AWANA international. AWANA is an acronym for Approved Workers Are Not Ashamed, and it is a disciple and evangelism ministry for children. Pastor Margaret loves children whom she serves selflessly in her local church as well as all over the globe. She is a true worshipper and operates fully in the office of a prophet. She is married with a son and two daughters.